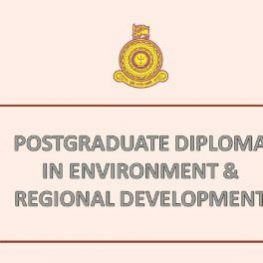 The Department of Geography is calling for applications from the qualified candidates for the Postgraduate Diploma in Environment and Regional Development, upto 30th April 2019. 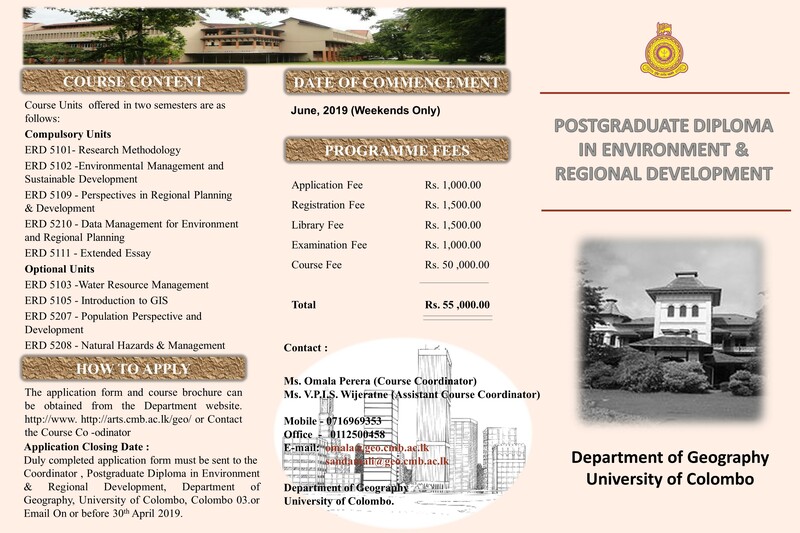 This programme provides candidates with a comprehensive theoretical and practical background in the field of Environmental and Regional Development. 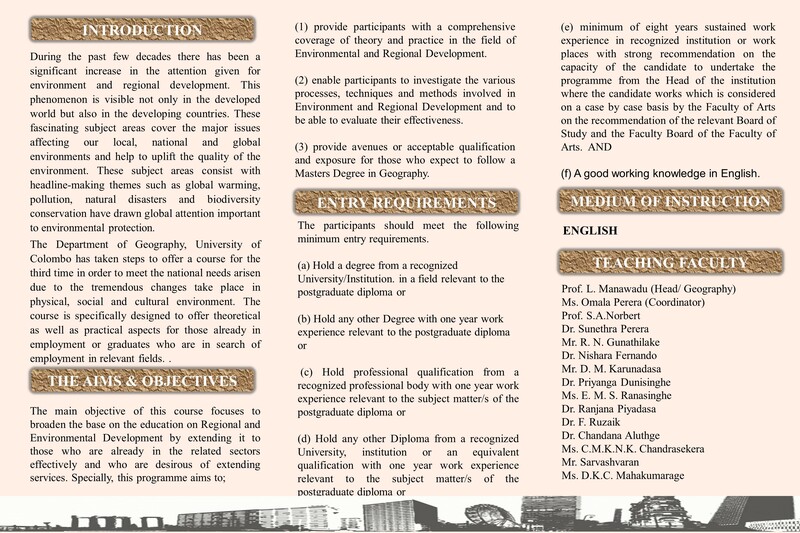 Further this programme provides an opportunity to candidates to follow a Master’s Degree in Geography after the successful completion of the diploma. The main objective of this course focuses to broad base the education on Regional and Environmental Development by extending it to those who are already in the related sectors effectively and who are desirous of extending services. Target groups: Officers in public and private sectors, relevant civil organizations, graduate and postgraduate students of Universities and Institutions who are engaged in work related to Environment and Regional Development can apply. Copyright © 2019 Faculty of Arts, University of Colombo. All rights reserved.